The Liberals are in… so what does that mean for Fair Work Laws? Tony Abbot has promised to “restore the balance back to the sensible centre” in industrial relations by not replacing, but improving the current Fair Work Act. 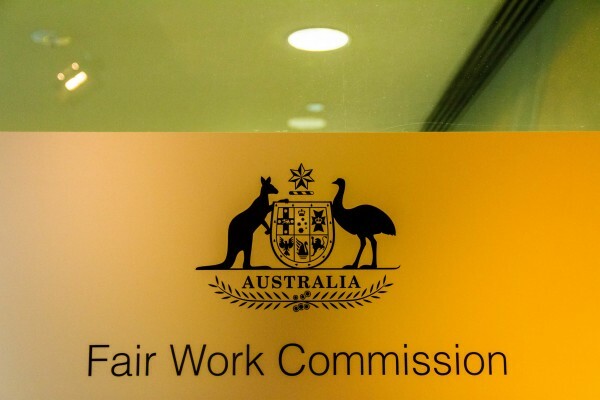 And it seems that changes being proposed by the Liberals will give employers control over certain aspects of employment will increase, the most significant being a greater capacity to defend unfair dismissal claims, more opportunities to use individual flexibility arrangements and an increased focus on using internal complaint processes in instances of bullying.…however, major change to the existing Fair Work laws would only be considered after a Productivity Commission inquiry and a mandate from voters at the 2016 election. • Delay increases to compulsory employer superannuation contributions by two years by freezing the existing contribution level of 9.25% until 1 July 2016, when it will increase to 9.5%. The contribution rate will then incrementally rise until 2021-2022, when it will reach 12%. • Tailor services provided by the Fair Work Ombudsman for small business and ensure there are increased resources to help small business. • Improve the Fair Work Commission and considering the introduction of an independent appeal jurisdiction. It is anticipated any such appeal jurisdiction would be in between the Fair Work Commission and the Federal Circuit Court or Federal Court. NOTE: This could work to increase the ability of employers to defend unfair dismissal claims. • Ensure Individual Flexibility Arrangements can be used even where there is an enterprise agreement. NOTE: Employers should take this opportunity to review their enterprise agreements and ensure they are leveraging flexibility arrangements to their full capacity. • Implement a paid parental scheme (paid by the government) that provides 26 weeks paid parental leave to mothers which is tied to their remuneration and not tied to the minimum wage. Individuals would also receive superannuation during this period. NOTE: Employers may want to consider the implications of that scheme on any policy they currently have in place. • Require internal resolution processes regarding bullying before employees can access the Fair Work Commission via a stop bullying order they must attempt to resolve the issue through mechanisms in their workplace. NOTE: The addition of this step to the bullying complaint process could potentially assist employers to mitigate potential bullying claims early. • Restrict the rights of access of industrial bodies / unions to workplaces. This may involve removing the right of entry to hold discussions and replacing it with something like a right of entry once an employee requests the industrial representative to enter. • Require stricter reporting rules for industrial associations to ensure members’ funds are not being misused. By applying corporate regulatory standards this will assist in ensuring transparency and less misuse of funds. • Re-establish the Australia Building and Construction Commission to administer a national code and guidelines in an effort to tackle undesirable industrial association action in the building industry.